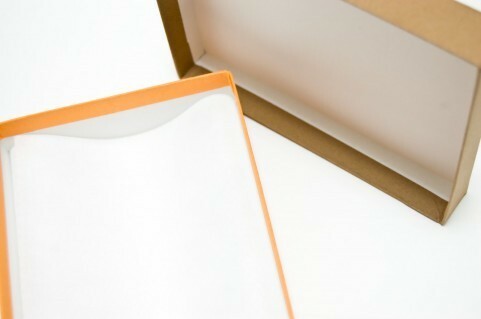 1.What do physicians receive from industry? 2.How often do physicians meet with industry representatives? 3.What characteristics are associated with the frequency and nature of physician–industry relationships? N Engl J Med. 2007 Apr 26;356(17):1742-50. BACKGROUND: Relationships between physicians and pharmaceutical, medical device, and other medically related industries have received considerable attention in recent years. We surveyed physicians to collect information about their financial associations with industry and the factors that predict those associations. METHODS: We conducted a national survey of 3167 physicians in six specialties (anesthesiology, cardiology, family practice, general surgery, internal medicine, and pediatrics) in late 2003 and early 2004. The raw response rate for this probability sample was 52%, and the weighted response rate was 58%. 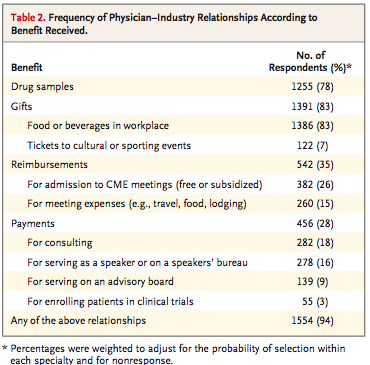 RESULTS: Most physicians (94%) reported some type of relationship with the pharmaceutical industry, and most of these relationships involved receiving food in the workplace (83%) or receiving drug samples (78%). More than one third of the respondents (35%) received reimbursement for costs associated with professional meetings or continuing medical education, and more than one quarter (28%) received payments for consulting, giving lectures, or enrolling patients in trials. Cardiologists were more than twice as likely as family practitioners to receive payments. Family practitioners met more frequently with industry representatives than did physicians in other specialties, and physicians in solo, two-person, or group practices met more frequently with industry representatives than did physicians practicing in hospitals and clinics. 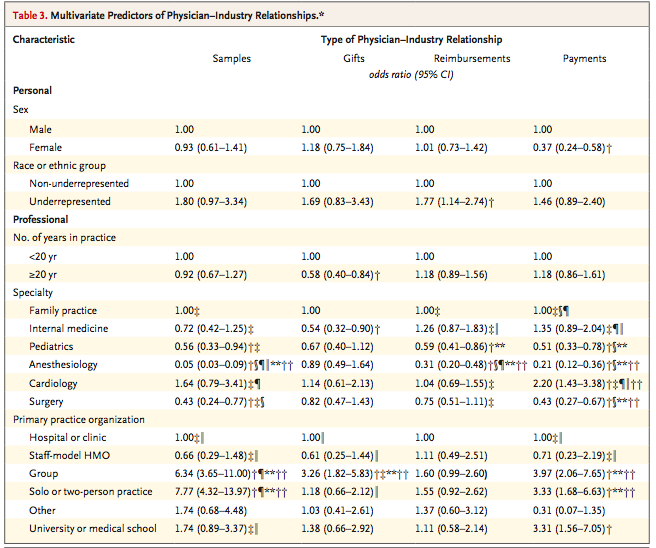 CONCLUSIONS: The results of this national survey indicate that relationships between physicians and industry are common and underscore the variation among such relationships according to specialty, practice type, and professional activities.